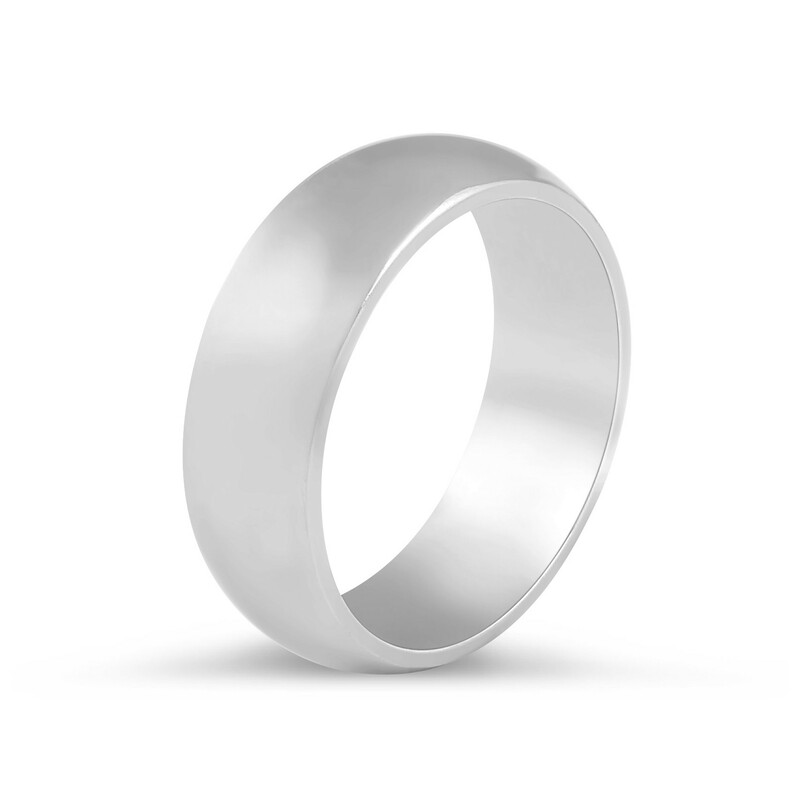 Solid Classic polished wedding band with slightly rounded profile. 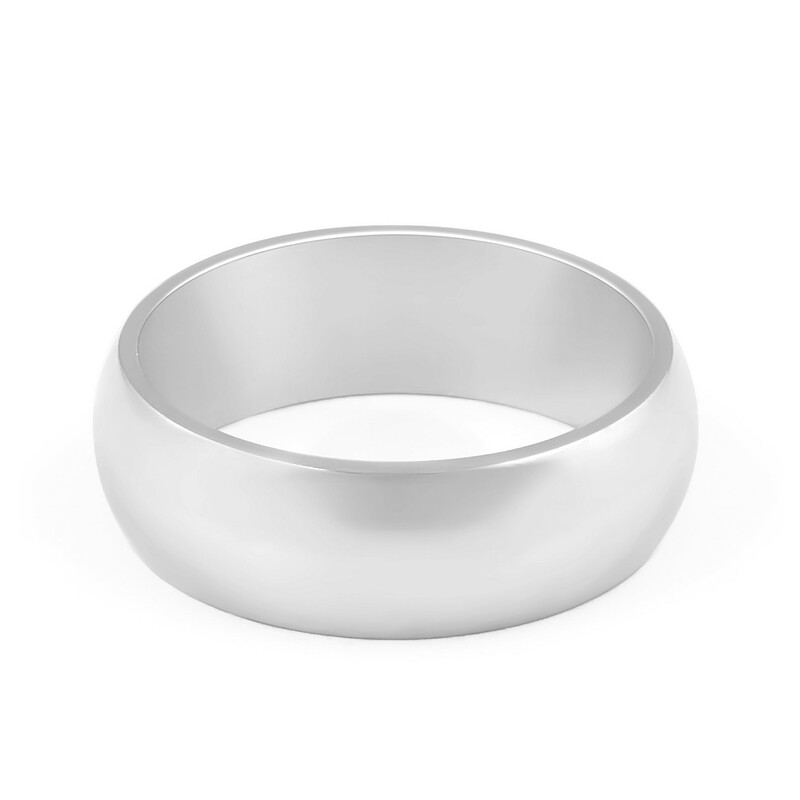 Solid Classic Polished Wedding band with slightly rounded profile in 6.00 MM. (HRD). Your choice Polished or Emery Fine finishing. Gents Wedding Band with flat profile end slightly beveled edges.